(hereinafter “Fighter”) and International Boxing Association, INC. (hereinafter “IBA”). 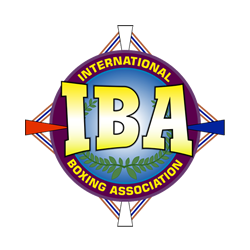 The IBA was formed to advance the sport of professional boxing in the United States and around the world. It is the goal of the IBA to recognize and supervise the administration of championship fights that benefit the boxers involved, appeal to the boxing fan, and are attractive to boxing promoters. 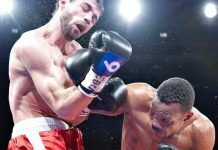 To achieve these goals the IBA .intends to provide to the boxing public intriguing Matches featuring fighting champions who defend their titles. Moreover, challengers to IBA titles are not chosen based on their world ranking, which may or may not be deserved. 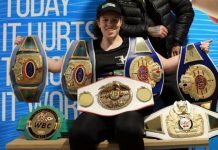 Rather, the right to challenge for a title is awarded to fighters who deserve, based on their boxing accomplishments an opportunity to contend for a title. In addition, the IBA intends to be a “fan friendly” sanctioning body and consequently will not tolerate any conduct which impinges on the integrity or image of boxing or the IBA. B. Fighter obtains the express written permission to extend the period for defense of his title from the President of the IBA, J.C. Courreges. Fighter must participate in any matches that are deemed by the championship committee of the IBA or the President of the IBA to be an enhancement to both the IBA and the Fighter, unlessA. Fighter has a legitimate medical excuse substantiated by a licensed physician, for his inability to participate in the above described matches orB. Fighter is expressly excused from participating in the above described matches in writing by the President of the IBA, J.C. Courreges. All title challengers must be approved by the ratings chairman of the IBA. The IBA may revoke any IBA title held by Fighter for failure to comply with Sections 1, 2, or 3 above. 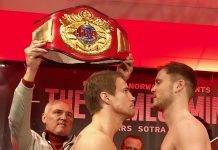 The IBA may revoke any IBA title held by the fighter if fighter engages in conduct detrimental to the sport of boxing or the IBA. If a title is vacant for any reason, the IBA may approve 2 challengers to compete for the championship. 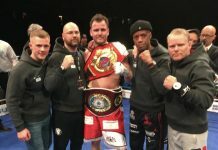 IBA World title Sanction Fee-$ 2250 USD. IBA Championship Belt w/ Case Fee-$ 750 USD. IBA InterContinental Title Sanction Fee-$ 2000 USD. IBA Championship Belt w/ Case Fee-$ 650 USD. IBA Americas Title Sanction Fee-$ 1700 USD. IBA International Title Sanction Fee-$ 1500 USD. IBA Regional Titles – African, Latino, Asian, Caribbean, European and South Pacific Title Sanction Fee -$ 1000 USD. IBA Regional Championship Belt w/ Case fee -$ 650 USD. * Referee / Judge / Supervisor (if necessary) to be agreed upon in the final contract . Fees are payable to the International Boxing Association, INC, at least 10 days before the date of the title match. The above clauses constitute the rules and regulations of the IBA. The IBA reserves the right to modify or create exceptions to the rules and regulations without notice. 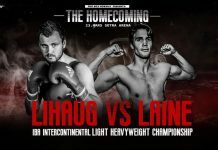 In addition to the rules stated herein, the IBA and Fighter will make every effort to conform to the rules and regulations of the local state or national boxing commission, under whose supervision each individual bout may take place. Fighter has not relied on any promises or statements which are not reflected in this agreement. The laws of the State of New Jersey will govern the Agreement and any dispute arising out of the Agreement. This agreements executed by the parties hereto as of the data set forth in the first paragraph hereof.